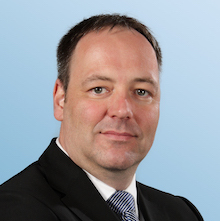 Klaus is a Partner in our Munich office and leads the Automotive Practice in Central Europe. He predominantly serves clients in the automotive industry. His second background being in the technology and innovation practice, Klaus also supports clients in the high-tech industry on innovation and technology topics. In automotive, his main fields of work comprise marketing, sales and after-sales, as well as strategic innovation, technology and information management. Relevant project examples are best customer experience, strategic planning, sales and after-sales excellence and product life-cycle management (PLM). His special interest lies in mastering the disruptive change of digitization and new mobility for clients. His education and background in information systems and software development enable him to understand technology issues. Before joining Arthur D. Little, Klaus co-founded a research-oriented consultancy and led it as managing director for five years. Prior to this he was a junior researcher, lecturer and project leader in large external projects with big German corporations.